This Weekend: Green Goes Glam with Oh Audrey! Actress Ione Skye, Atwater Pottery's Adam Silverman, musician Ben Lee and painter Yarrow Earth Hock are among the 21 talented L.A. pals who've heeded Audrey Bernstein's call to create original artwork from recycled materials. The cleverly called exhibit "Once is Not Enough" previews at (surprise, surprise) the Smart House on Abbot Kinney in Venice Saturday night from 8-11 p.m. (Have to hand it to Smart Car, though. Their peeps really lined up a worthy and cool series of events at the space). The collection then goes online for an auction benefiting Amazon Watch, a nonprofit that is proactive in protecting the environment and rights of the indigenous peoples of the Amazon basin. Devotees of Liiseanne Frankfurt–a.k.a. 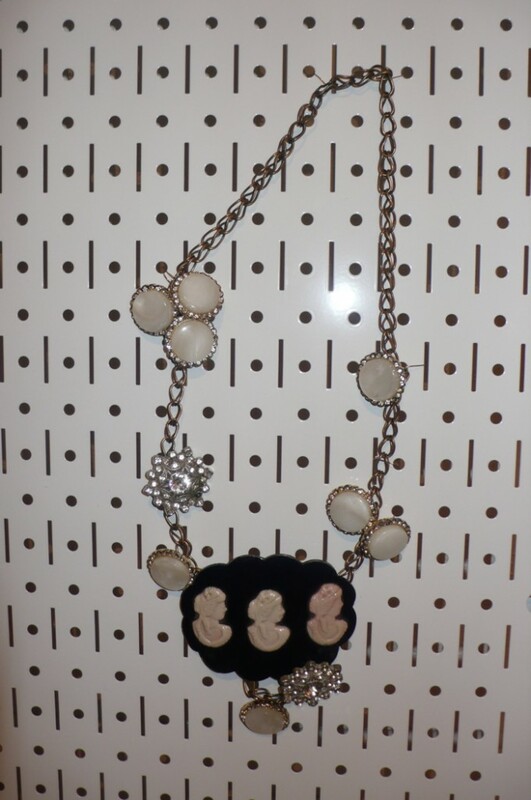 L. Frank, a truly chic artisan who recently opened a handsome salon across from us on Abbot Kinney to showcase her organically crafted gold jewelry–might like to consider the art piece she concocted from a cast-off cameo belt buckle and rhinestone buttons and attached to metal. 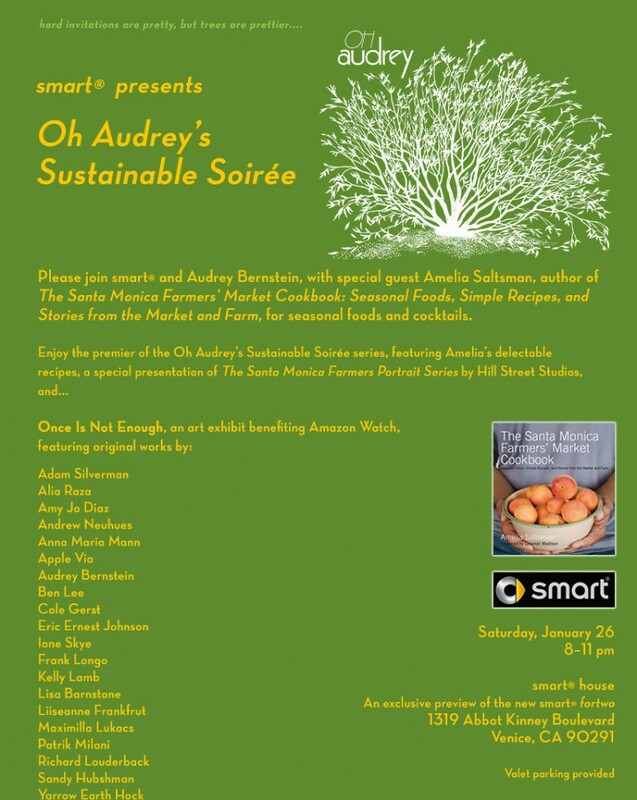 The evening is also the launch of Oh Audrey's Sustainable Soiree series. 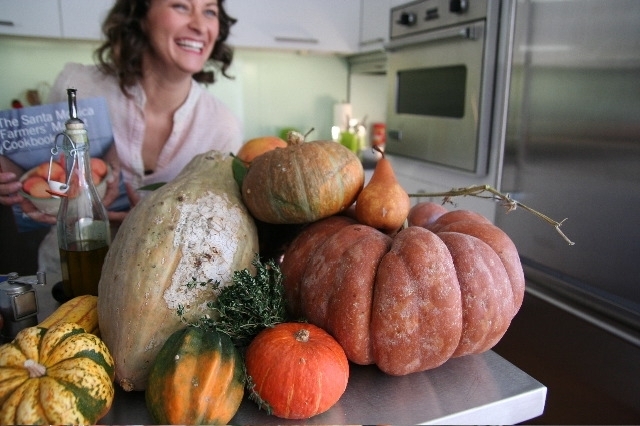 Journalist Amelia Saltsman will showcase images from her "Santa Monica Farmers Portrait Series" by Hill Street Studios, as well as her new book The Santa Monica Farmers' Market Cookbook…which my in-house chef and farmers' market maniac Andy (as in my other half) is only too interested to dig into.